A few weeks ago I saw a post on a forum or two about a great deal on a Tamiya Midnight Pumpkin. 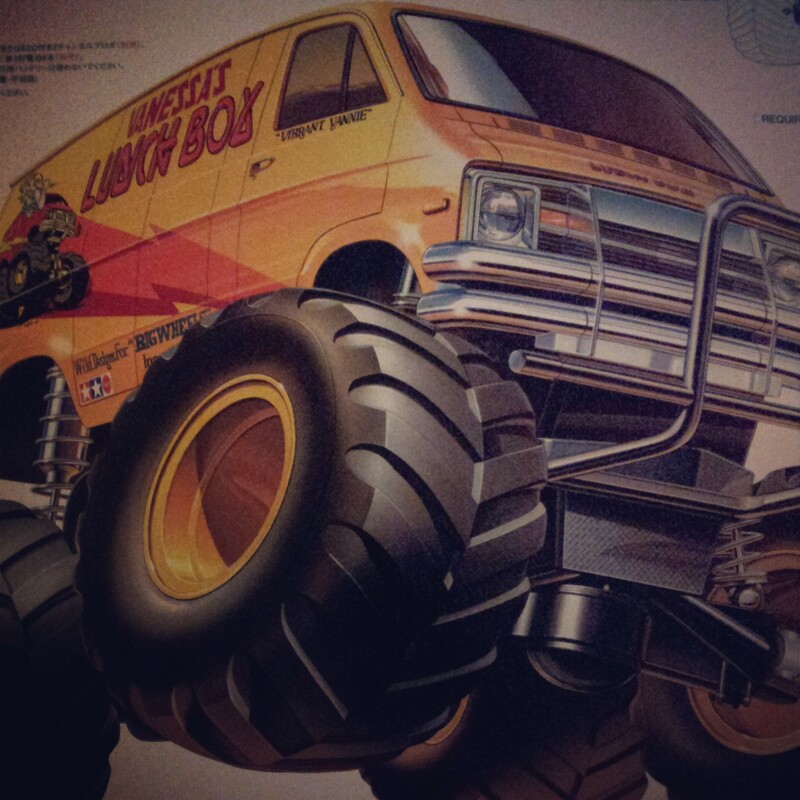 If this means little to you allow me to explain… My brother, a few of his friends and I ran radio controlled cars in the 80s, and I would read, read and re-read the Tamiya catalogue cover to cover. 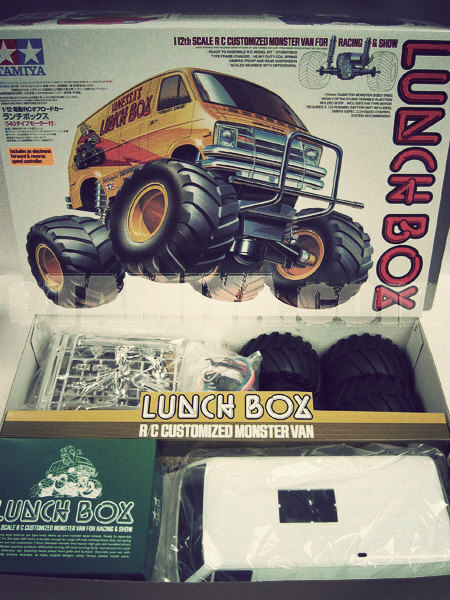 Unfortunately I missed the deal but it re-ignited the flame and I had to get my hands on Tamiya’s bright yellow Lunch Box which was re-released a few years ago, following its original 1987 launch. 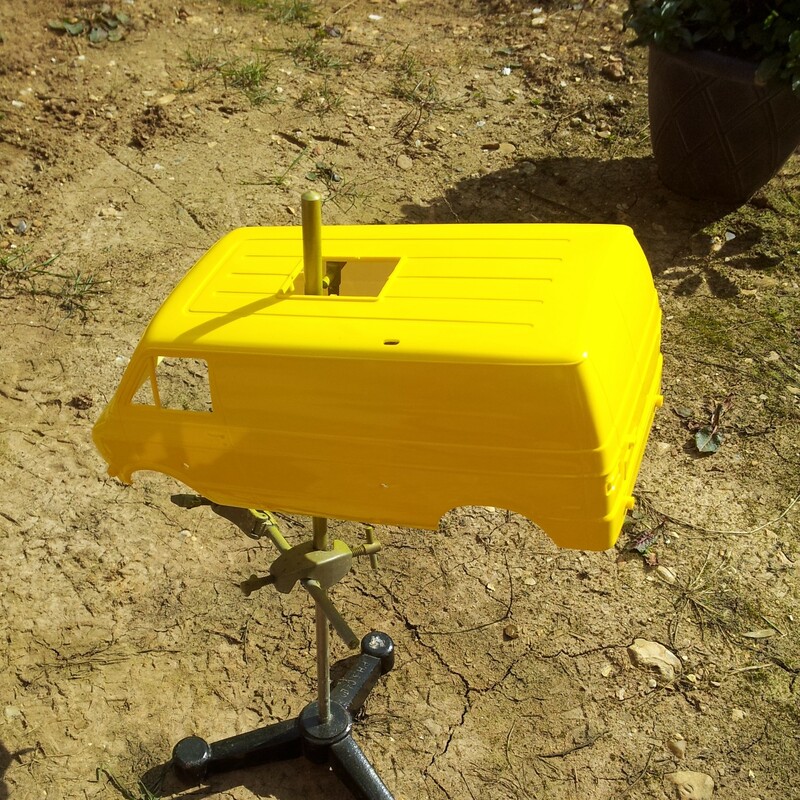 I was most excited about building the thing so RTR was out of the window, besides I had radio gear, servos, batteries and charger in the loft. A quick ring around local shops found the Tamiya R/C Lunch Box Model Kit – 58347 – to be rather elusive, but I eventually had one tracked down in Chigwell. 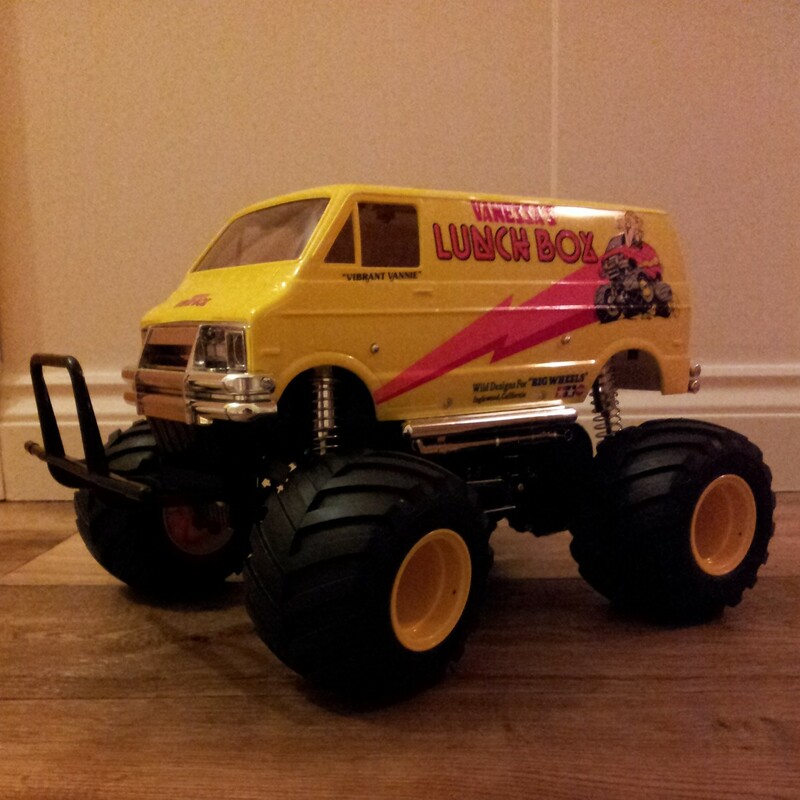 A Saturday night in front of The Voice and a few episodes of 24 later I had the rolling chassis but needed a trip to the loft and of course the Lunchbox yellow paint – Tamiya TS-16. 27 and 40 MHz transmitters now operated on a crystal-free 2.4GHz frequency and batteries had gone from NiCd > NiMh and beyond (but that’s another story). I was sold, rationalising the purchase of new radio gear as being able to resurrect my old Cat 2000 EC and RC10T2 by investing just £6 each for a new receiver. For just £35 to my door I had a FlySky FS-GT3B setup with a thwacking great LCD display, 10 model memory and hackable to 8 channels. I reasoned that my 17+ year old NiCds wouldn’t be much cop having sat discharged all of this time and jumped on a 4000mAh battery to get me 30 mins of run time. Ignoring someone’s work is almost the same as shredding it in front of their eyes!